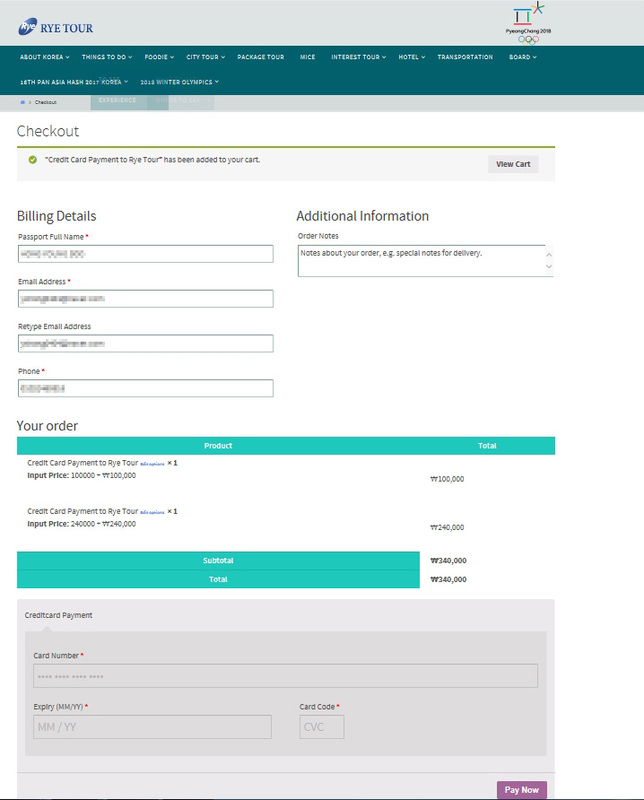 After you receive the invoice, please complete payment procedure based on your payment choice. 1 On the Checkout page, fill in the information blanks. 2 Following credit cards area accepted: VISA, Master and JCB. 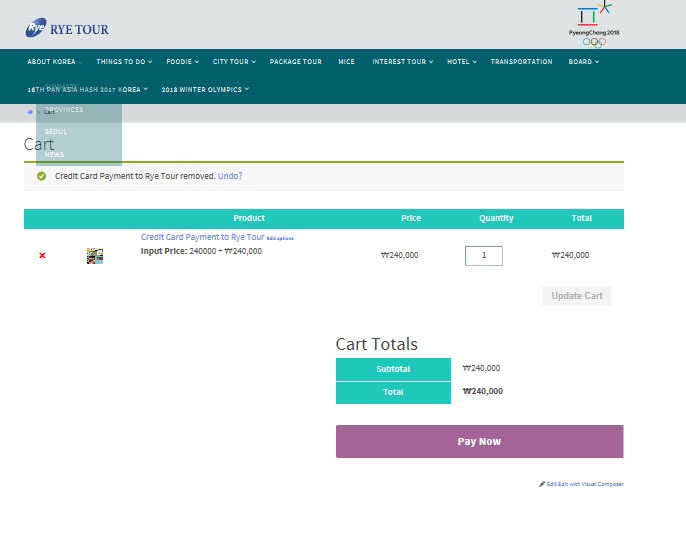 Click ‘Pay Now’ button to proceed after you enter the required information inn the section of Creditcard payment. 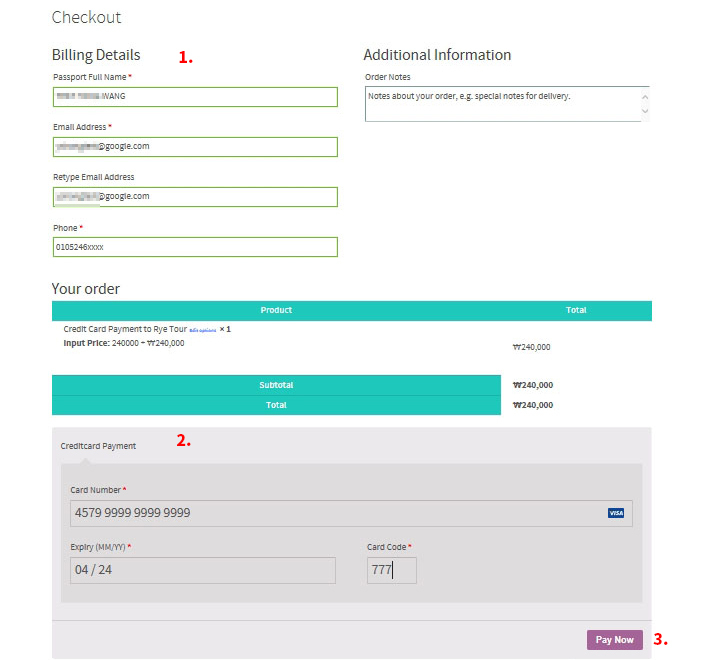 Click ‘View Cart’ to edit your order when you see the wrong price. In your shopping cart, click x mark to delete. And click ‘Pay Now’ button to proceed. 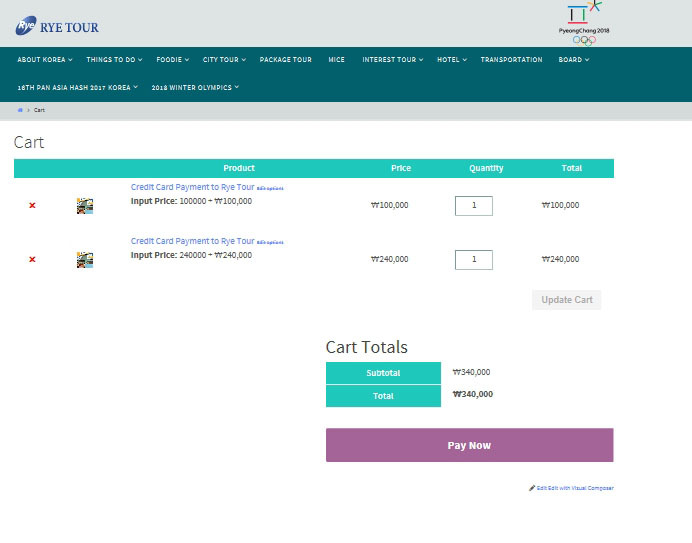 Confirm the total price and click ‘Pay Now’ button. 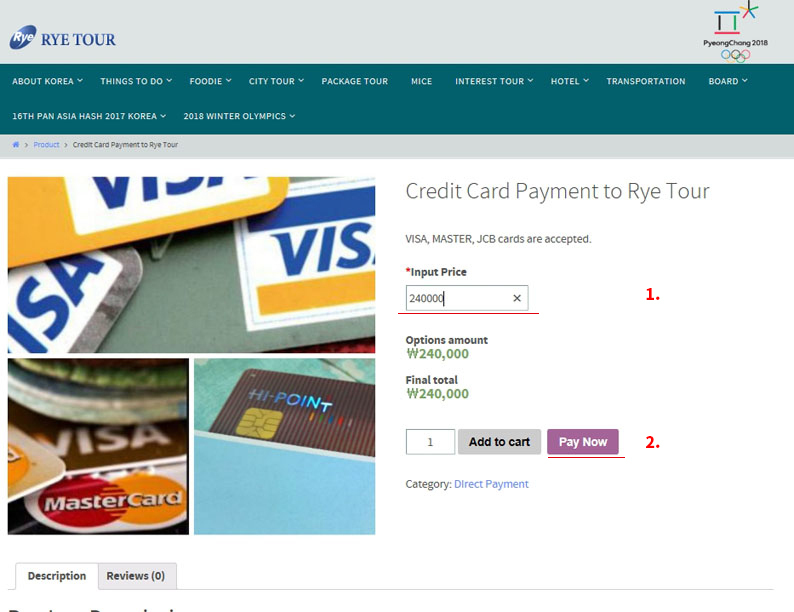 In terms of refund, please send us an email to ryetour@gmail.com to get notification of the process.